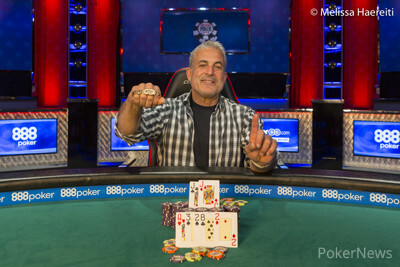 Frank Maggio capped off a four-and-a-half-hour final table to win his first WSOP gold bracelet and $617,303. Maggio is the winner of Event #31: $1,000 Seniors No-Limit Hold'em Championship. This year's event was the largest ever. Maggio sealed the win after only eight hands of heads-up play against runner-up William Murray. Two hands before the final hand, Maggio gained the chip lead when he five-bet shoved on Murray. "I had tens," said Murray. "I just decided I wasn't going to back down." Two hands later, the two players got all in on a queen-high flop. Maggio three-bet shoved and Murray called with middle pair against Maggio's pocket jacks. "I wasn't that concerned with the three. I was just worried about spades," said Maggio about the hand. By the time the board ran out, the spades didn't come and Maggio was $617,303 richer. 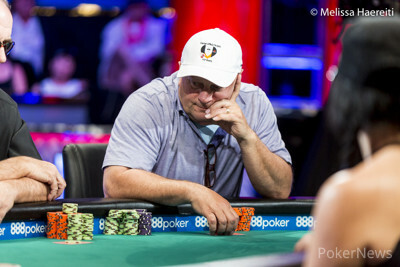 Maggio won his first WSOP bracelet on his third-ever WSOP cash. "I've been coming out here every year since I turned fifty," he said, "to play the Senior's event and some other stuff." "I cashed a couple years ago and this year's a big surprise." 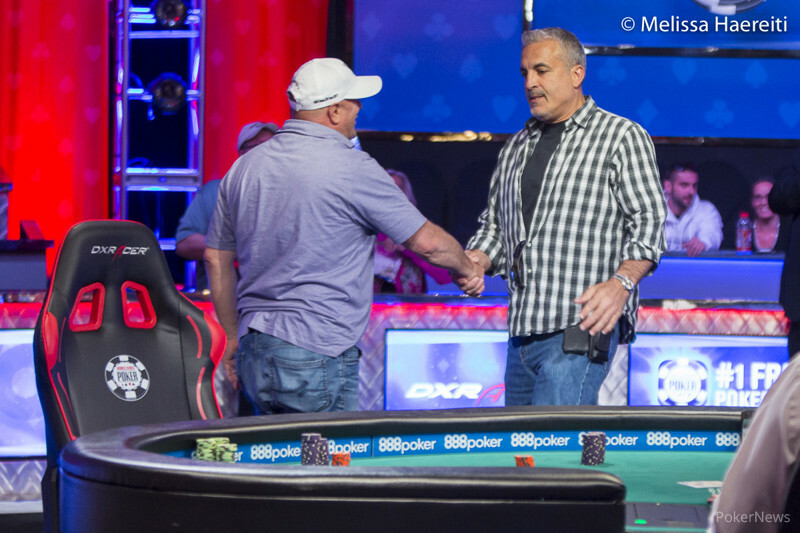 The final table started when Dan Heimiller was eliminated on the very first hand of play. He four-bet shoved pocket jacks from the big blind and Murray, who had three-bet from the small blind, called with pocket kings. 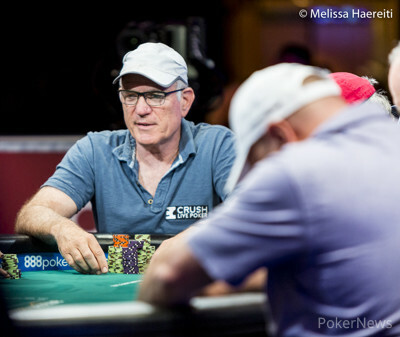 Paul Spitzberg busted nine hands later in eighth place when he got it all in with ace-king versus the pocket tens of eventual third-place finisher Dieter Dechant. It only took six more hands to lose the seventh-place finisher, Lewis Leclair. He was eliminated by Murray when the two got all in on an eight-high flop. Murray had a pair of sevens with an ace kicker and Leclair had pocket queens. Murray rivered an ace and took the chip lead with over 9,000,000 chips. Gina Bacon was the next to go. Her stack had dwindled down to a little over three big blinds before she shoved with ace-jack and ran into the pocket queens of Mark Lillge. "I got good hands at just the right moments," said Maggio. The hand that sent Anthony Licastro to the rail in fourth place was the second-biggest pot of the final table — second only to the final hand. Licastro had been very aggressively raising big amounts and he played a massive 14,000,000 pot with Maggio. The single pot was worth more than half the chips in play and set Maggio up for the eventual win. "I smooth-called with ace-king suited and [Licastro] shoved for a rather large amount. I hit an ace and a king on the flop and I really needed to hit that hand or I would have been out the door." Mark Lillge was the short stack and busted seven hands after Licastro. He got it all in against Murray with eights and Murray paired one of his two overcards on the flop. Murray earned his fourth knockout of the final table when he got all in against third-place finisher Dieter Dechant with a set of fives. Dechant had flopped a wheel but couldn't fade the board which paired on the river and was eliminated in third place. Maggio is a "union sprinkler fitter in Chicago" and says he plans on continuing to play WSOP Circuit events at Horseshoe Casino in Hammond, Indiana. He will also likely be back next year to defend his title. This closes the book on the largest Senior's Event in the history of the World Series of Poker. The series is in full swing and you can follow the rest of the action on PokerNews.com. Congratulations to Frank Maggio for outlasting 5,389 players on the way to his first WSOP bracelet. Hand #112: Murray raised to 800,000 and Maggio three-bet to 2,400,000. Murray called. The flop came and Maggio bet 1,900,000. Murray raised to 4,000,000. Maggio raised all in, putting Murray at risk should he call. Murray called showing middle pair with and was behind Maggio who showed . The turn was the and the river was the . Murray could not catch up and was eliminated in second place. He will take home $381,233 for his finish. Hand #110: William Murray raised to 400,000 and Frank Maggio reraised to 1,360,000. Murray took a second, then counted out a raise and four-bet 2,400,000. Maggio shoved all in for 10,700,000 and Murray folded. Hand #111: Murray got a walk. Hand #105: Frank Maggio raised to 500,000 and William Murray three-bet to 1,400,000. Maggio folded and Murray claimed the first pot. Hand #106: Murray raised to 500,000 and Maggio called. The flop showed and Maggio bet 500,000, which Murray called. On the turn, Maggio made it 700,000 to go and Murray called. After the river, the board paired and Maggio checked. Murray bet for what appeared to be 1,500,000 and that forced a quick fold from Maggio. Hand #107: Maggio raised to 500,000 and Murray called. On the flop, Murray checked and Maggio checked behind. The appeared on the turn and Murray checked. Maggio checked behind to see the river and both checked. Murray showed a king and Maggio won the pot, having paired the nine. Hand #108: Murray raised it up to 680,000 and Maggio called. The flop came and Maggio checked before Murray quickly bet 700,000. Maggio gave it some consideration and called. After the turn, both players checked. The river resulted in a bet worth 800,000 by Maggio and Murray let go. Hand #109: Murray received a walk. William "Bill" Murray and Frank Maggio are back in their seats and the action has resumed. There are 19 minutes left in the level and the two remaining players have agreed to take the upcoming 15-minute break early before determining the champion. Action will resume at 4:10 p.m. local time and the chip counts of the final two contenders can be found below. Hand #104: Dechant raised to 650,000 from the button and Murray called from the small blind. Maggio called. The flop came and Murray bet 900,000 and Dechant shoved all in, Murray called. Dechant had a made wheel with and was up against the of Murray. The turn was the and the river was the , pairing the board and sending Dechant to the rail in third place. Hand #100: William Murray got a walk. 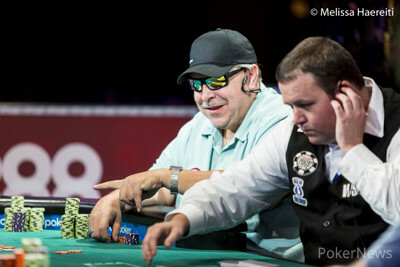 Hand #101: Murray raised to 500,000 from the small blind and Frank Maggio folded the big blind. Hand #102: Murray raised to 600,000 and everyone folded. Hand #103: Dieter Dechant opened to 580,000 from the small blind and Murray folded. Hand #99: Mark Lillge moved all in first to act and William Murray announced call on the button. Dieter Dechant in the big blind asked for a count and Lillge was all in for 1,355,000. "You got a pair?" Lillge asked and Murray shook his head before the cards were tabled. "I gotta call, right?" Murray replied. Lillge said, "You can get away from it." The flop fell and Murray immediately improved to a pair of kings. He stayed in the lead on the turn and the river was a blank as well to eliminate Lillge in fourth place for $209,715. The remaining three players have $281,691 guaranteed. Who Will Win the Record-Breaking 2017 Seniors Championship?